In 2009 BBC produced an excellent Krautrock documentary featuring many of the legends including Faust and Amon Düül II. The Faust portion showed founder Jean-Hervé Peron and Zappi Diermaier at their “studio” in the countryside playing such diverse instruments as a cement mixer and a grinder. Never one to feel restricted by conventional instruments, Faust continues to explore new sonic possibilities from different sources at the same time skirting the over processed industrial and noise compositions so prevalent in the 80s with the rise of the cassette culture. 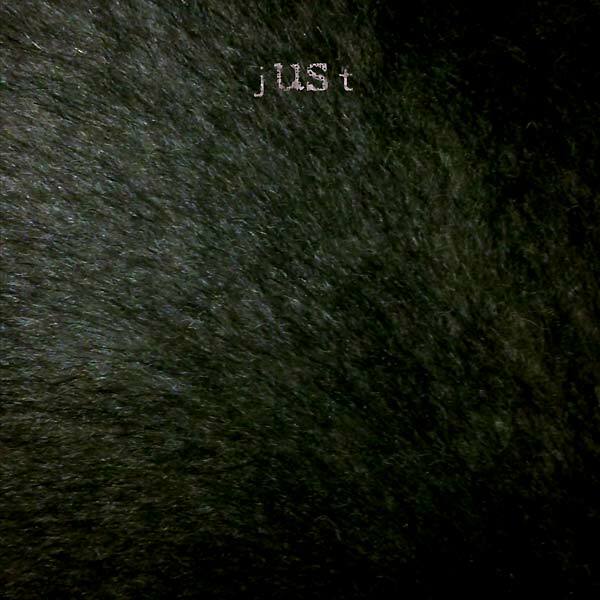 The new album jUSt, pronounced “just us,” is another musical chapter in Faust’s long career stretching back to the their debut in 1971. Forty-three years on and they continue to explore and innovate strange new sonic territories. What I find unusual with jUSt is the diversity in the music, there is something here for almost all tastes from avant-garde Dadaism to, and dare I say it, folk music. There are all kinds of metallic banging, scraping, and plucking noises Faust arranges into rhythmic patterns and musical structures. They even employ a sewing machine as a metronome on “Nähmaschine.” I could be wrong, but it also sounds as if they are using natural amplification as many of the tracks appear to be recorded outdoors with the outros being accompanied by chirping birds. I find their take on folk music, “Cavaquiñho” and “Gammes,” to be particularly enjoyable. And if you are looking for some Krautrock, the beautiful trancelike ambiance of the closing track “Ich Sitze Immer Noch” fits the bill.